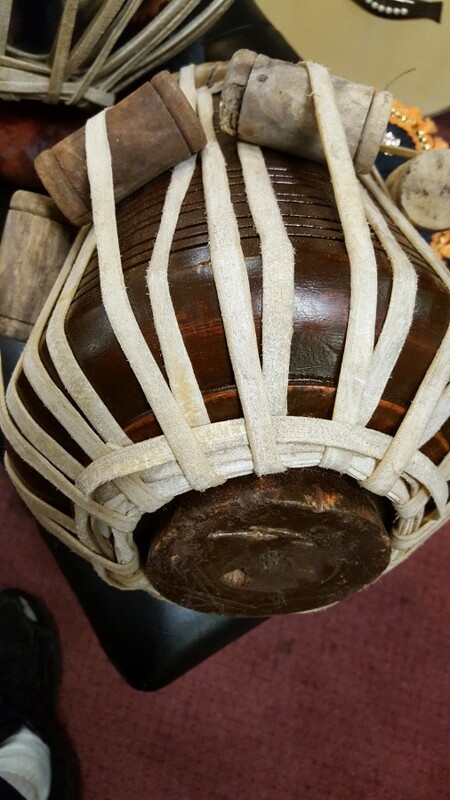 The tabla (Punjabi: ਤਬਲਾ, Hindi: तबला, Bengali: তবলা, Tamil: தபலா) is a membranophone percussion instrument (similar to bongos), which is often used in Hindustani classical music and in the traditional music of Afghanistan, India, Pakistan, Nepal, Bangladesh, and Sri Lanka. 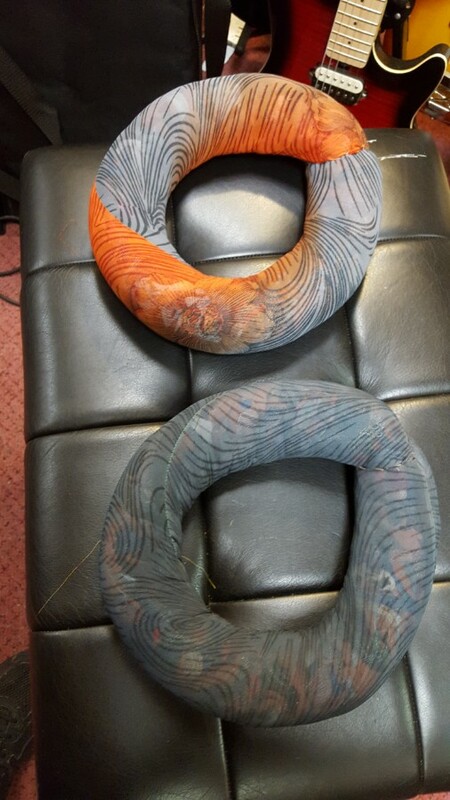 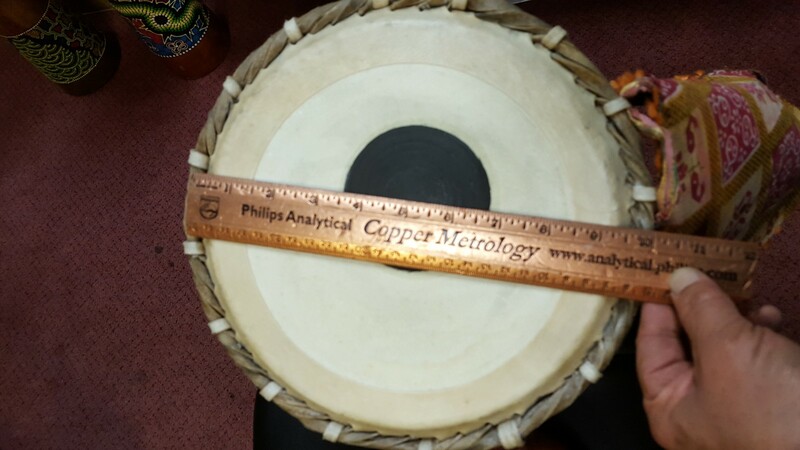 The instrument consists of a pair of hand drums of contrasting sizes and timbres. 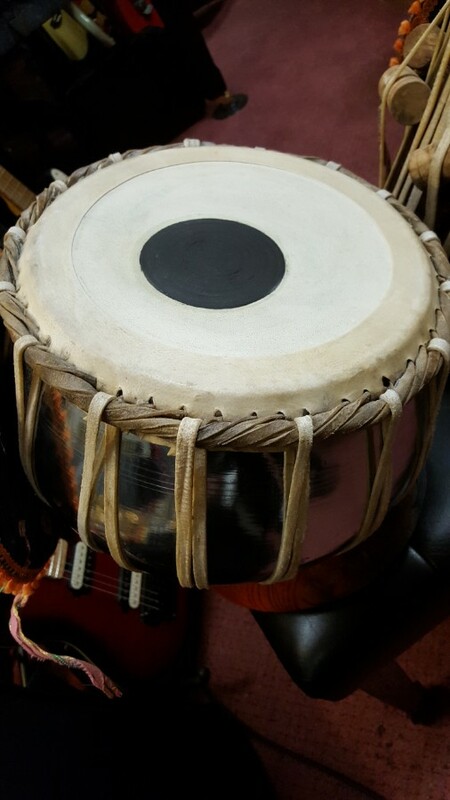 The main drum is called a tabla and is played with the dominant hand. 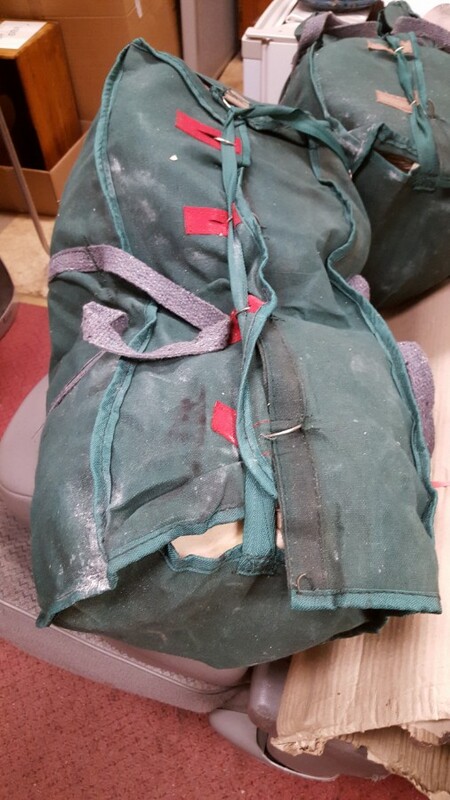 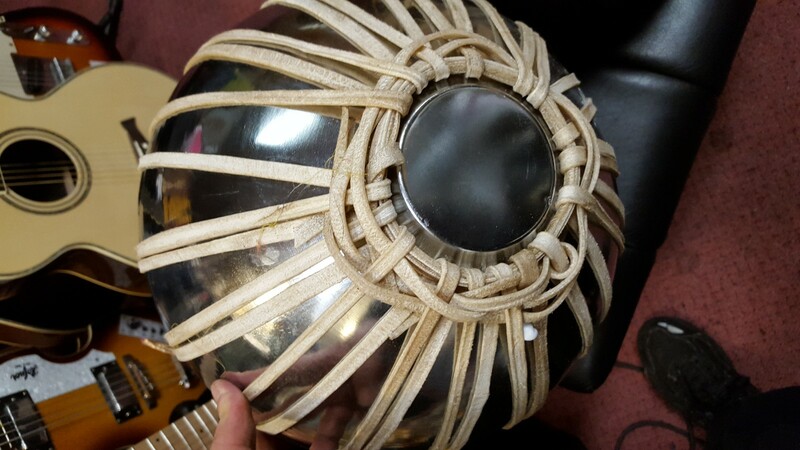 Its shell is cylindrical and made out of wood, and its tight skin produces a distinct pitch when struck. 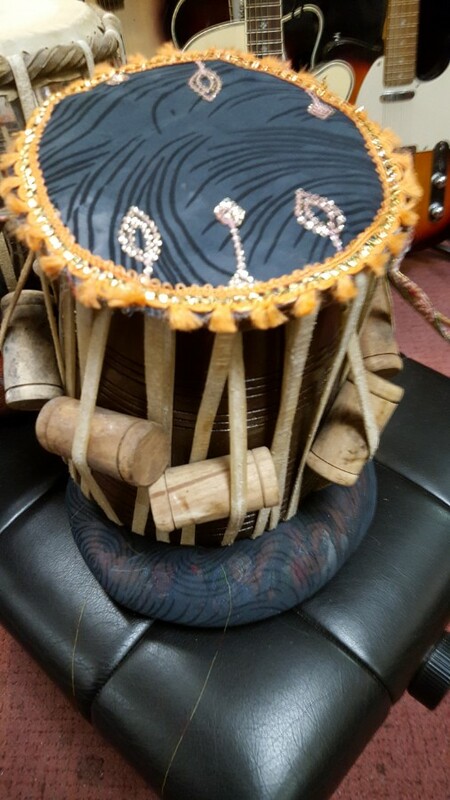 The larger, low pitched drum, called dagga or baya, has a bowl-shaped metal shell. 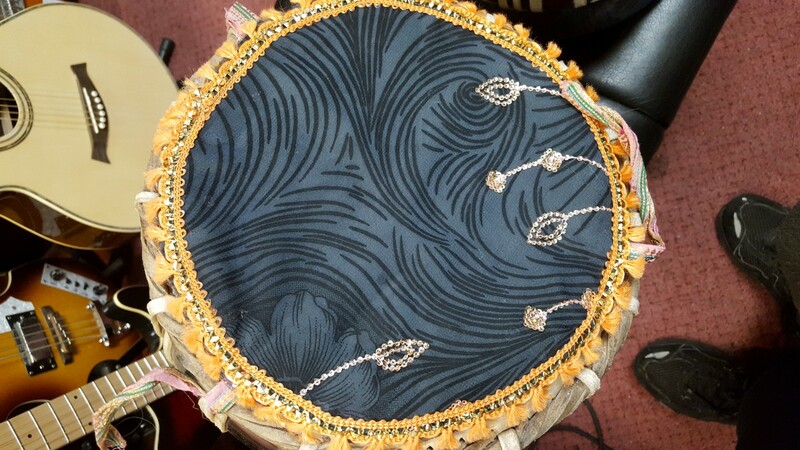 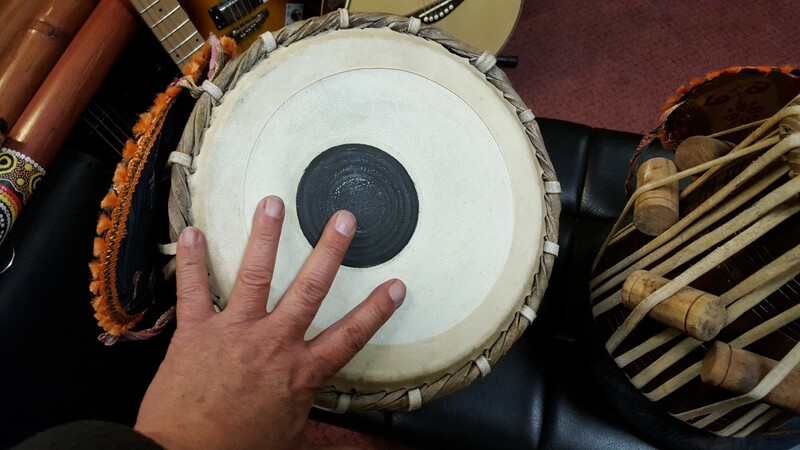 Its membrane is looser than that of the tabla, enabling the player to manipulate the drum's pitch with his or her hand in performance. 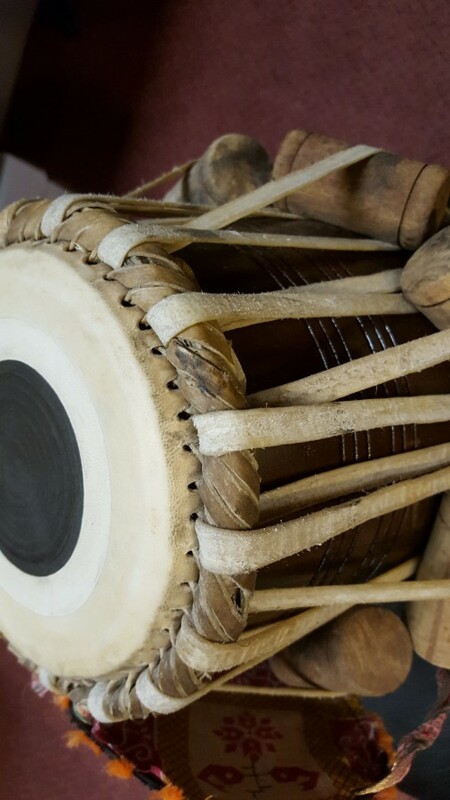 It is claimed that the term tabla is derived from an Arabic word, tabl, which simply means "drum." 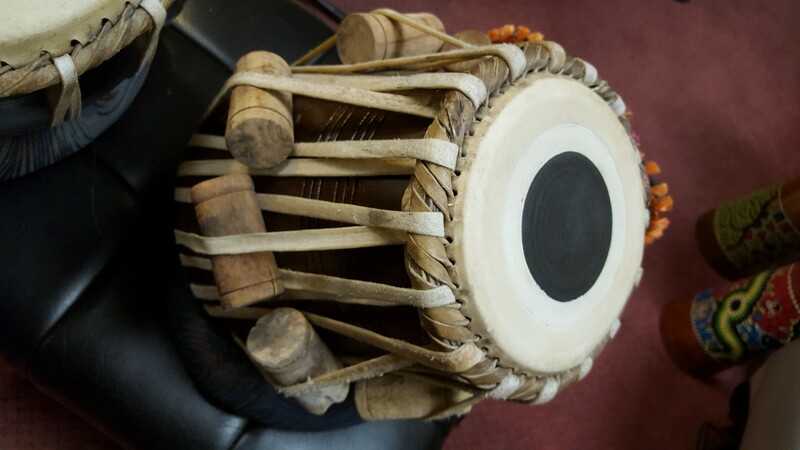 The tabla is used in some other Asian musical traditions outside of the Indian subcontinent, such as in the Indonesian dangdut genre. 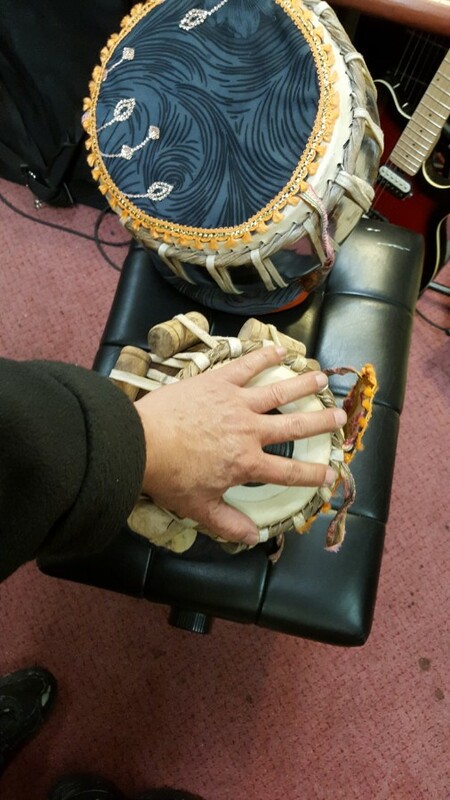 The playing technique is complex and involves extensive use of the fingers and palms in various configurations to create a wide variety of different sounds and rhythms, reflected in mnemonic syllables (bol). 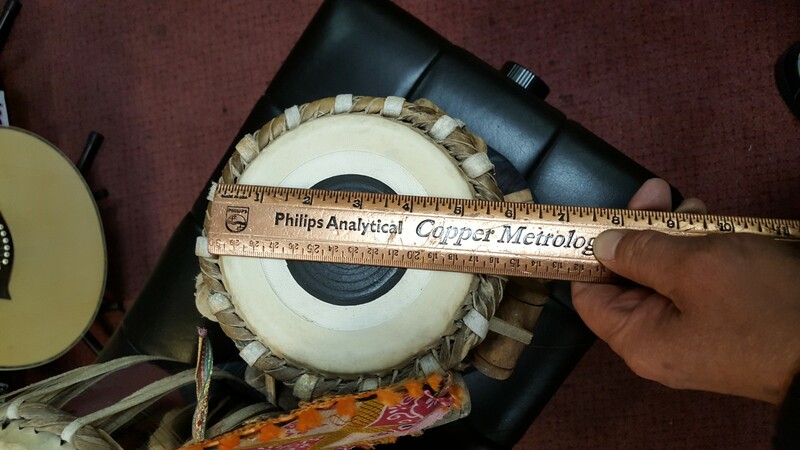 The heel of the hand is used to apply pressure or in a sliding motion on the larger drum so that the pitch is changed during the sound's decay. 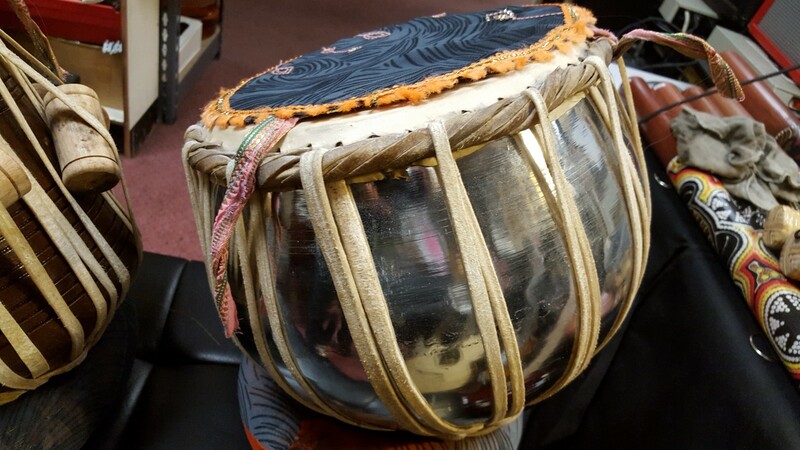 In playing the Hindustani style tabla there are two ways to play it: band bol and khula bol. 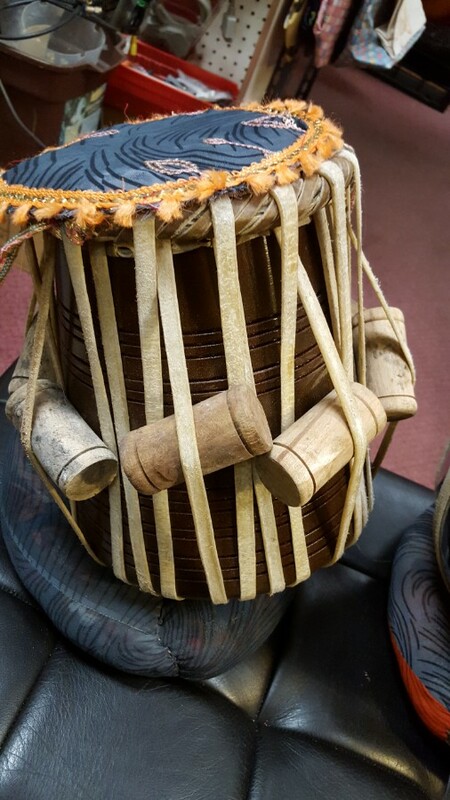 In the sense of classical music it is termed "tali" and "khali".